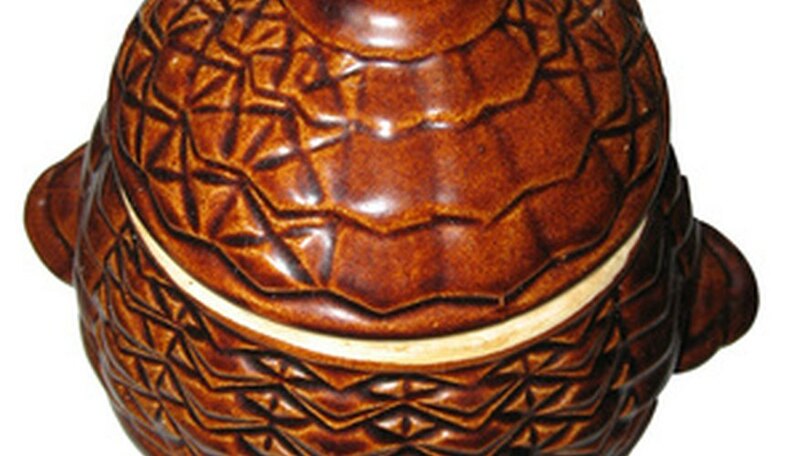 Find reference books with detailed photographs and information about Japanese pottery marks. Examples of reference books include “Japanese Marks & Seals (Kegan Paul Japan Library)” by James Lord Bowes and “1100 Marks on Foreign Pottery & Porcelain” by L.W. Publishing. Locate the country of origin mark, which was required by the U.S. Congress beginning in 1891. Originally, most pieces from Japan were marked “Nippon” until 1921, when Congress requested that customs change the marked name to “Japan.” As such, pottery pieces that are marked “Nippon” are likely pre-1921.